This beautiful sodalite gemstone necklace has satin finish beads of varient sodalite colors. 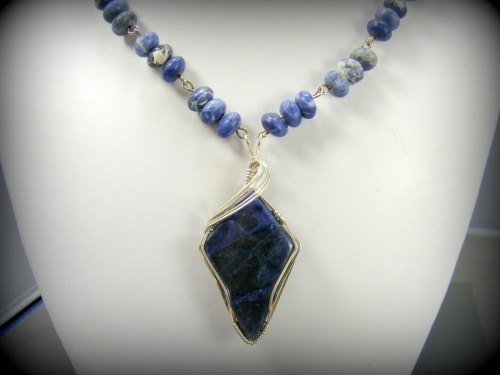 Focal is a deep shiny sodalite stone that has been embelisshed with a sterling silver swoop. Piece measures 18" long and comes with a complimentary pair of earrings.